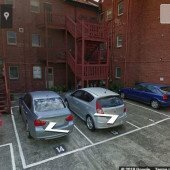 This outside parking space is located in East Melbourne and available to lease. Space is an outdoor off street parking. Close to MCG, East Melbourne hospitals, tram stops, Jolimont Station.